The seasons have changed and suddenly hurricane season is upon us. Not only do we need to prepare for the heavy amount of wind and water that is coming, but we need to know what to do after it hits. Many other organizations like Red Cross and the Centers for Disease Control and Prevention have a ton of information to help keep you safe, but we thought we’d lay it out in simple terms in one place. Here are 16 useful tips on how to prepare for a natural disaster. When you are preparing for a disaster you need to know what type of storm is coming, what path it is on, and how damaging it could be. You can’t prepare for a major disaster if you listen to rumors and think it’s going to cause minimal damage. Take every caution into consideration. It is always best to be over prepared than underprepared. If you the weatherman is saying to take a considerable amount of caution and board up your windows, go a step further and have a qualified storm damage company come in for emergency board up services. They’ll know exactly what you need to keep the elements out. If a major storm is dropping down on you, there is a chance of flash flooding and other types of dangerous situations happening. If your town is evacuating, it’s going to take some time to follow the traffic out of town and to a safe space. Make sure you know the quickest escape routes and that your family has a generic location to meet up so that everyone can be accounted for and safe. Emergency alerts should be turned on if they haven’t been disabled. Emergency alerts are ready to go 24/7 so you shouldn’t miss one unless you turn your phone off or have stopped alerts from happening. Emergency alerts aren’t broadcasted only through your phone. Any type of radio, television, and social media will notify you of emergency broadcasts. You don’t need to prepare for the end of the world, but it doesn’t hurt to prepare yourself for a couple of days without power or clean water. First, make sure you have basic first aid materials. Second, prepare for power outages. This means lights, cooking, etc. Microwaves, toaster ovens, and main ovens will not be working. Make sure you have food that doesn’t need to be cooked and won’t get ruined without power. Also, stock up on clean water. Water lines could be down for days to weeks depending on the severity of the storm. Be prepared with the basics. There are a few things you might forget to grab in an emergency. For example, toddlers and infants that require diapers, medicine, or have other special needs will have different necessities than adults. Make sure there is a good amount of their requirements stocked up in an emergency. Do this for the elderly and disabled also. You don’t want to be caught up in a major storm disaster and not be able to care for the vulnerable who can’t care for themselves. 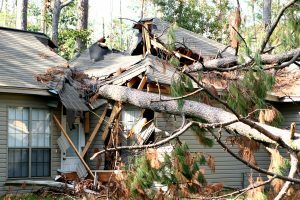 To get a really good idea about how to prepare your home for a disaster, contact the storm damage professionals at Regional Property Group in Calvert County. This crew has been around for many storm emergencies and have provided board-up and storm cleanup services to our local communities. If you want to fully prepare for a storm, or require storm damage clean up after a major storm, contact this professional storm damage restoration team today!